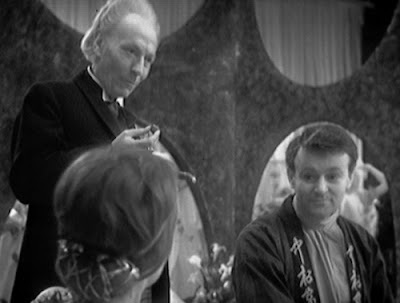 Most of the criticisms levelled at The Keys of Marinus over the past 50 years have been fair play, and yet it’s a story I return to as one of the more effortlessly watchable of the Hartnell era. Consequently, the one complaint I can’t really countenance is that it’s boring. 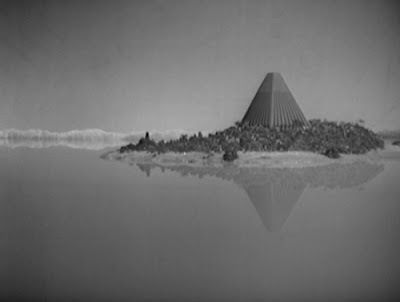 While many a foray during this fledgling period drags its heels, even ones of undeniable quality in other areas, Marinus’ shifting soils and weekly adventures-in-miniature sustain interest, however inelegant the actual construction of those narratives may be. The quest premise also makes it a winner; it’s a format I have little resistance to, even when manifested, as here, in an often overtly budget-stricken manner. 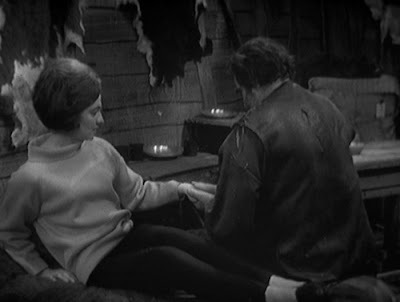 Doctor Who has dabbled with the search structure elsewhere, most notably across The Key to Time season, and ultimately Marinus’ mission is even more of a MacGuffin than in that sextology, a means to string together what would otherwise be vignettes to little overall coherence or consequence (The Chase and the makeshift epic The Daleks’ Master Plan would be even more flagrant with this a year or so later, although there it was in the name of pursuit of our protagonists). But the loosely episodic format is such an evergreen staple of storytelling, from The Odyssey to The Hobbit and beyond, that it would be churlish to slight its potency, particularly when offering such shamelessly pulpy content. One of my favourite series as a youngster – too soon curtailed, alas – was The Fantastic Journey, a similarly variable weekly trek through strange (or rather familiar-looking, Californian) locations in an unknown land (the Californian countryside), with the promise of unknown and infinitely variable vistas (however recognisable and ultimately humdrum; yes, California) being key to the appeal. 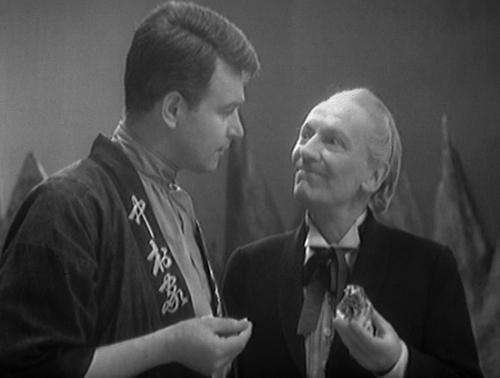 And to Marinus’ appeal. Admittedly, you have to be willing to move beyond some precipitous pitfalls of plotting to fully embrace the story. Terry Nation’s narrative proficiencies, or limitations, tend to cop a lot of flak, and rightly so. 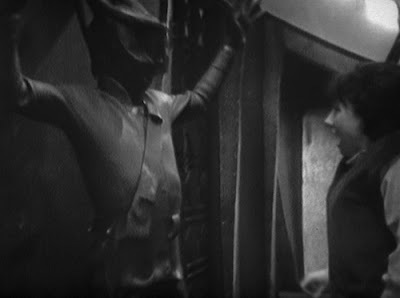 His other non-Dalek story, The Android Invasion, has a pretty good scene-setting first episode, but otherwise amounts to a compendium of hilariously ham-fisted bun vending (the peak, or low point, being an eyepatch-raising twist to make Nick Courtney proud. 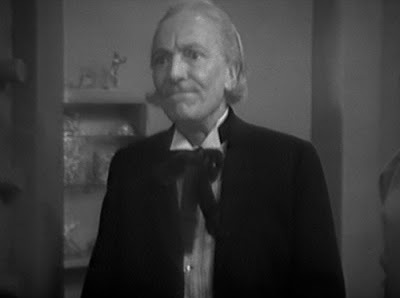 If only he’d been there; at least his best was yet to come, exhumed as a rotting Cyber-Brigadier). 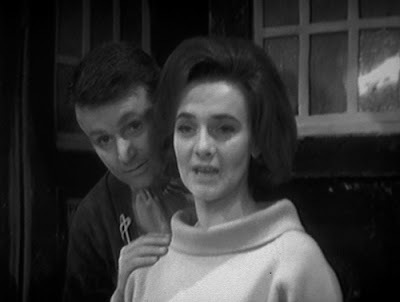 Having Daleks in a story seemed to shift attention just enough that the prevailing Nation-esque shortcomings were granted a free pass, most of the time (even, for some, like Mark Gatiss, with that most inspiration-bereft of encounters, The Planet of the Daleks). 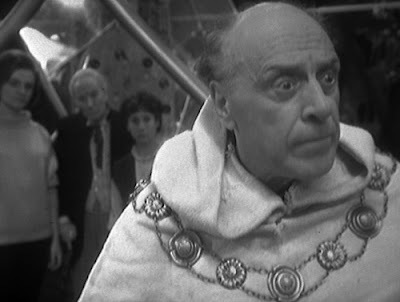 Unfortunately, Marinus has problems making sense of its convoluted mission statement from the ground up. I can just about buy into the premise, at a huge pinch; Arbitan the Keeper (we presume, since there’s evidently a degree of longevity to these assorted Marinians, what with Yartek learning to resist the effects of the Conscience Machine a mere 1,300 years before) and his cronies developed the Conscience Machine as a computerised Judge Dredd, its own judge and jury, but we’re told it was modified such that it controlled the minds of men, so eliminating evil throughout the world. It was only when Arbitan’s crew learned of the Voord’s (I don’t care if Voords is possibly-maybe correct, Voord is much better, almost as if someone has thought about it. 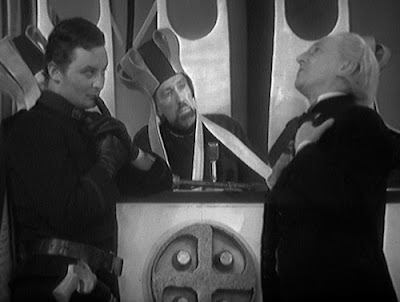 Besides which, they need as much credibility as they can scrape with those flippers) savvy that fourth-fifths of the Machine’s keys were ferreted away, while Arbitan attempted to whip up version 2.0, and so restore law and order. 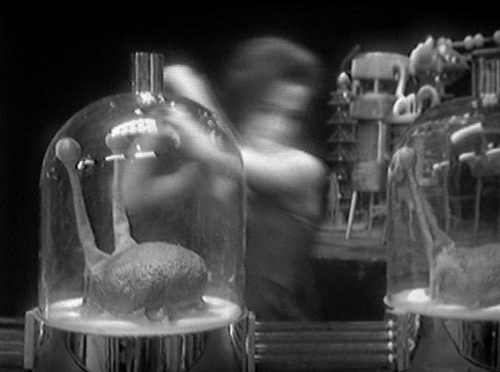 The machine as intended invites the spectre of the classic AI gone berserk, as per Colossus, Skynet or the Matrix, suggesting less sophisticated thinking, while a technology that eradicates evil is Nation coming from the opposite angle to the Daleks. You can see why Arbitan (George Coulouris) thinks a machine acting as a conscience for all is necessary, as he doesn’t appear to have much of one himself (living for millennia evidently doesn’t imbue much in the way of wisdom), blackmailing the TARDIS crew into popping off for the keys, and sending his dearly beloved daughter into harm’s way. He ought to have at least warned them of the threats they faced. 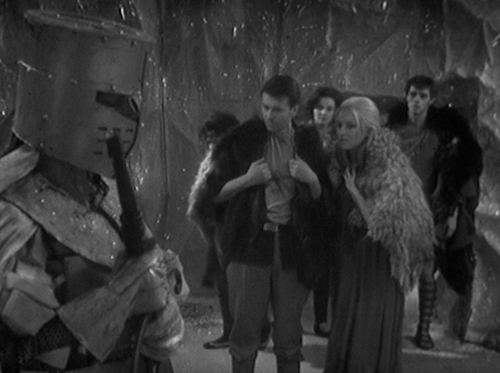 Even being charitable, and suggesting most of the perils weren’t in place hundreds of years before, when the keys were first distributed, it’s difficult to believe the ice soldiers weren’t bedded in by Arbitan himself, since their very nature is as guardians of some sort. Arbitan: They no longer decided what was wrong or right. The machine decided it for them. 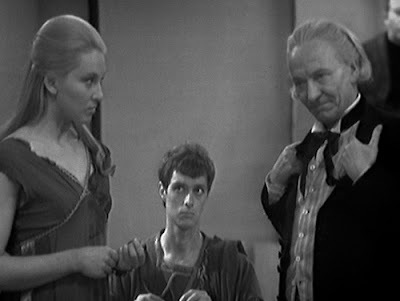 One wonders if Williams, Douglas Adams, and the Bristol Boys didn’t watch Marinus in prepping the finale of the Key to Time season, since The Armageddon Factor similarly fluffs the big, dramatic raison d’être. Both stories have a fake component, used for varyingly constructive/destructive purposes, and both fail to fully deliver on the promise of ultimate assembly. 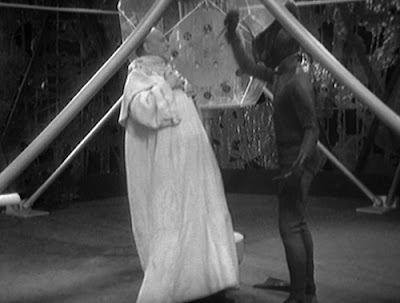 To be fair to Marinus, destroying the Conscience Machine is the only ethical outcome that could be satisfactory; it’s just lucky it takes out the Voord as well. Except that, since the Voord’s whole motivation derived from disagreeing with the Machine’s purpose, they may really be the good guys; okay, they don’t look like the good guys, more Silent Hill via Play School, and they’re alarmingly knife-happy, but Arbitan does seem tyrannically intent on forcing them into slavery of the will, so can you blame Yartek for wanting to adapt that to his own ends? The main problem with all this is that the ending is such a rush-job. We’re dropped into the moral qualms over the use of the machine rather suddenly, almost as an afterthought. 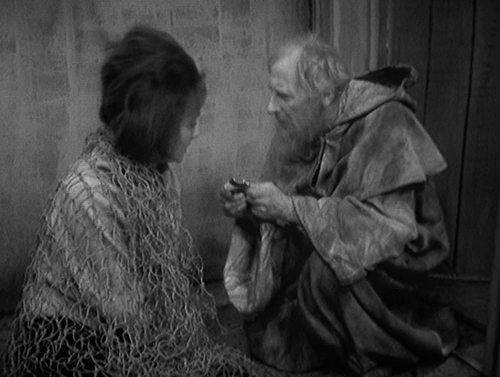 It’s fair enough that the Doctor collects the keys, forced into a mission against his will in order to get the TARDIS back, but for his stance to carry any weight, he really needed to broach it earlier. As intimated in the opening paragraph, I can’t say I find the story dull at any stage, nor is the railed-upon lack of urgency a factor; for me, the ticking clock of something nasty (the Voord) lying in wait when the crew return is sufficient to sustain any longueurs (of which there aren’t any, not really, except maybe a wee bit across the 1.5 episodes of the Millennius sequence, but they have the consolation of Billy being back from his hols, in full effect). I wonder if those berating the story on this level binged it, as it paces itself rather perfectly seen over six consecutive nights. But there’s definitely a negative side to all this hopping about the place. Not so much in set-up as resolution. 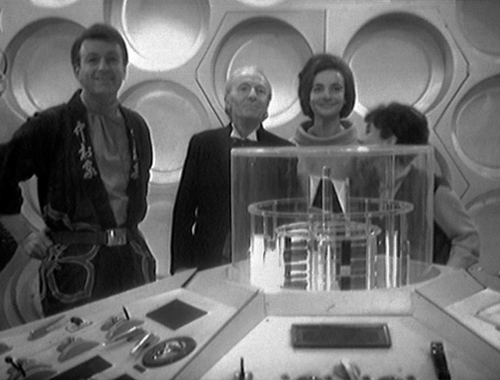 The mysteries of Morphoton, revealed in The Velvet Web (if only Mel Tormé had been up for that cameo, it could have retained its original title), easily the best sequence, could have done with a longer sustained illusion (so The Discontinuity Guide is partly right). 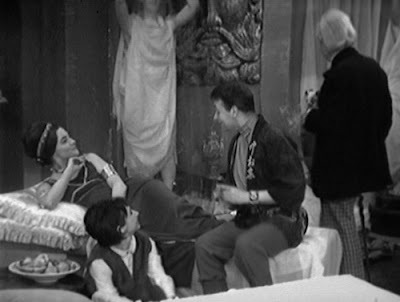 It kicks off like a trial-run for The Romans, with the crew on recliners scoffing grapes, and the Doctor’s summary (“Oh, er, sensuous and decadent, but rather pleasant”) could be right out of that story. 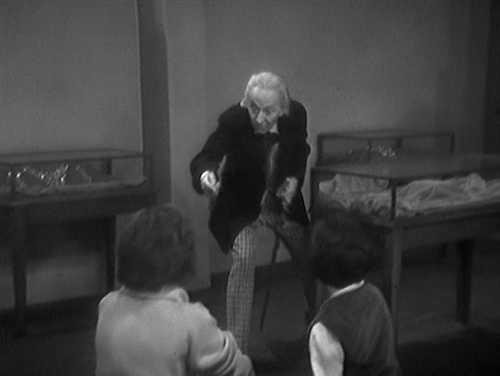 Hartnell is fluffing like a jackanapes in the first episode (most famously, “No, impossible at this temperature. Besides, it’s too warm” and “And if you’d had your shoes on my boy, you could have lent her hers”) and he’s not alone with the fluffs throughout, but that just makes him more cherishable. That, and his enthusiasm for truffles. Ian’s on good form too, (rightly) doubting anything is for free (“Here comes the bill”; the idea that capitalism is an illusion is itself an illusion, or is it?). 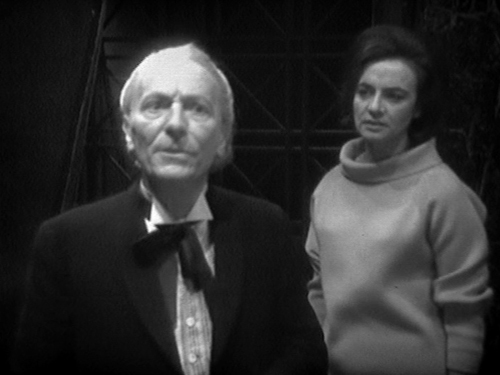 He then delivers the second possessed performance of the main crew (I think, following Susan’s attempt to cut off his Johnson in The Edge of Destruction). Barbara, who like many in this story, not least the Voord, discovers that hiding in plain sight is rather effective, finds it all too easy to destroy the brain creatures (surprisingly, given her pitiful aim), which are a simple but effective piece of bug-eyed ‘50s B-movie design. And, for all that John Gorrie seems to cop flack, there’s directorial inventiveness running through Morphoton. It may be easy to mock, and there are gaffes in abundance, but he does a vastly superior job to, say, Richard Martin. Which might not be saying much, but there’s a more-than-sufficient variety in form and atmosphere each episode. Here, he’s note-perfect in capturing the slip between perception and reality, with both point-of-view shots and Ian and the Doctor acting out their illusionary world in his “lab” while under the influence. I mentioned The Fantastic Journey, and its best episode Fun House is very reminiscent of The Velvet Web; an apparently luxuriant location masking decay and filth. Is this Terry Nation’s condensed Brave New World, a trenchant treatise on the illusory nature of materialism as embodied by a populace who allow themselves to be duped and conditioned in exchange for superficial comforts, rather than nourishment of the soul, which stagnates? 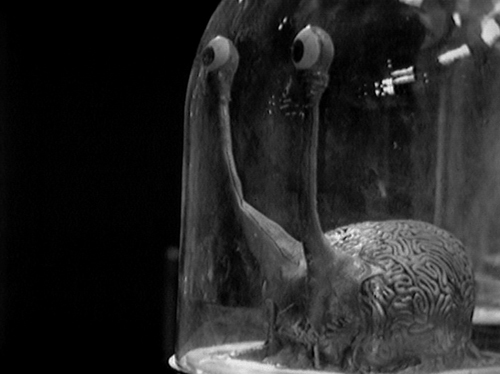 Westerners, like the people of Morphoton, “are perhaps the most contented in the universe”? There’s the criticism that Babs only arrives moments before Ian and the others, yet has been in Morphoton for a good while, enough to get rather louche, but I don’t really see the issue. 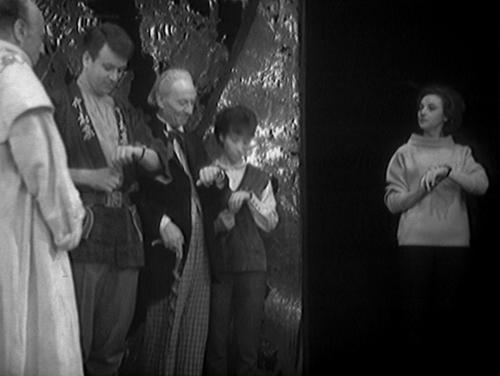 The leaping timeframe lags work because there’s a narrative break, even if not a temporal one (and who knows the vagaries of the in-transit aether). 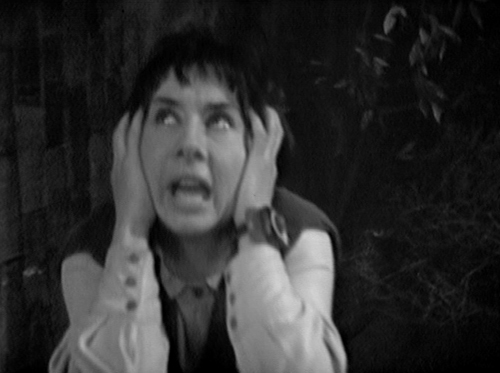 Babs is quite kill-happy in Morphoton, and kill-happy in the subsequent The Screaming Jungle too, getting jolly baity with a poor tendril.. Susan should just be grateful she hadn’t made friends with a Sand Beast. 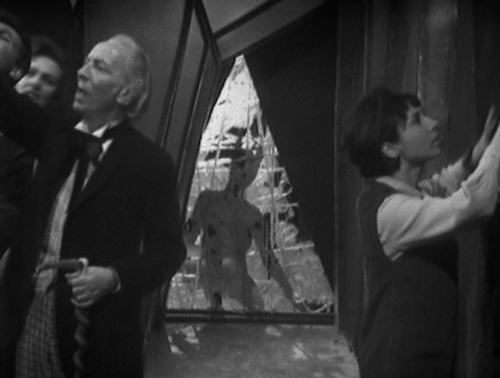 Barbara: This is a dead place. Ian: Yes, it’s a bit quiet, isn’t it? Barbara: That isn’t quite what I meant. This sequence is rudimentary by any standards, what with makeshift killer creepers (more effectively rendered in the later The Seeds of Doom), rum ruins, and dialogue such as “This whole place is one big booby trap”. Darrius, a beardy mad scientist as played by Trevor and Simon, is given to portentous warnings about his creation (“It’s coming again. The jungle is coming” and “When the whispering starts, it’s death, I tell you. 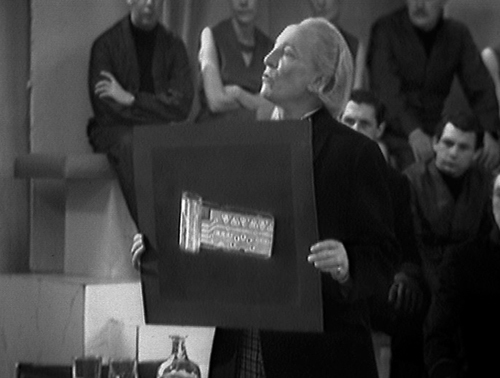 It’s death”) before expiring with a risibly cryptic clue (he keeps his key in a jar with a chemical formula written on the side). The real downer here is Susan, screaming and wailing at the slightest thing like she’s six years old (which is probably unfair to six-year-olds). Really shockingly useless. Babs should have been attacking her, rather than the creeper (Susan’s at it again in the following episode, making this something of a cut-off point for the character being halfway palatable). You have to wonder a bit about Darrius too; sitting about for hundreds of years, twiddling his thumbs waiting for Arbitan to get in touch, he comes up with a growth accelerator that changes nature’s tempo of destruction entirely. The feckin ijit. 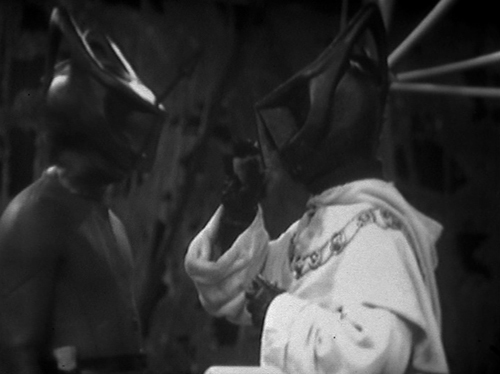 Vasor: Last year, I broke the back of a wolf with both my hands. Snows of Terror is the one with the rapey trapper, and sinister ethereal choirs out of The Goodies and the Beanstalk. For all that the later ice caves business is a sub-Thal-journey attempt to fashion an epic adventure on a shoestring and failing (more notable for being the episode fans ponder if it wasn’t the one that frightened the once slender Davo as a lad, rather than its actual content), and throws in entirely unanswerable, and thus best not dwelt upon elements (what are these soldiers exactly? Other than suggesting Grail guardians from Indiana Jones and the Last Crusade), Gorrie’s still doing his level best with limited resources, and enough of this works to be engrossing. The Trapper, Vasor (Francis de Woolf, also Agamemnon, he of the quivering buttocks, in The Myth Makers), is a sinister sort, John Goodman from 10 Cloverfield Lane at teatime. 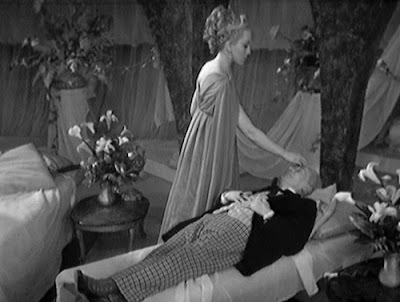 Particularly unnerving as he tenderly rubs Babs’ hands. 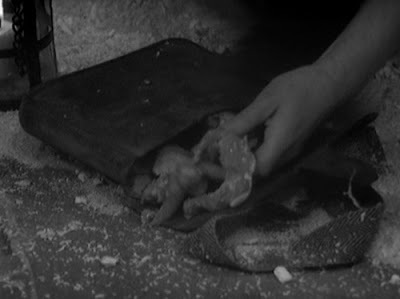 Why he didn’t dump Ian in a crevasse outright is highly questionable (you might ask the same about Goodman and John Gallagher, Jr), but I quite like his cunning plan of sending Chatterton out into the wolf-ridden slopes, his pockets stuffed full of raw meat. Quite creative. 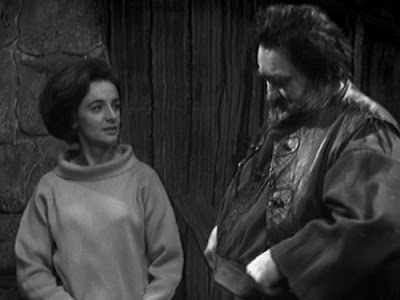 I don’t think much of his furs, though, and I don’t know how Ian expected to last five minutes with a few bits of fox thrown over his shoulders, let alone equipped with several yards of liver. Altos (Robin Phillips) and Sabetha (Katherine Schofield) are reasonably effective as companies for a story (they’ve got to count for more than Adam). They’re certainly a lot less tiresome than Susan. Sabetha has a nice snooty thing going on, and Altos is predicting early Bowie by a decade, with his short shorts and androgynous crop top. But with a touch of Rik Mayall. Ian: The laws in this country are a mockery. Ian: I need a man to defend me. The Doctor: I am that man. 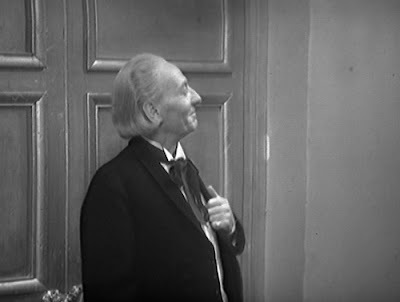 When Hartnell reappears in Sentence of Death, it’s enough to wish the show was filmed before a live studio audience; the crowd would have gone wild when he appears, as if by magic, promising to go all Perry Mason in aid of the capital crime-charged Ian. 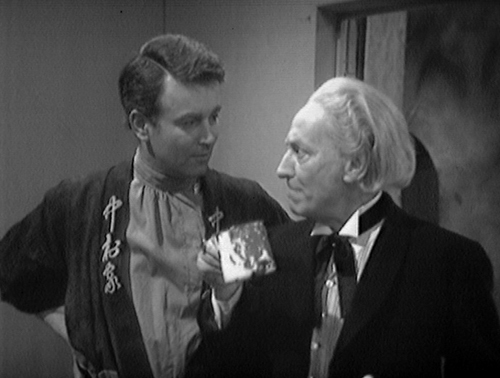 Is this a signature hero moment for the one-time caveman-skull-stoving TARDIS captain? The City of Millennius legal system bears up, I suspect, to negligible scrutiny, although one might argue it’s a highly effective deterrent to anyone doing much of anything at all, such as leaving the house, let alone a remotely dodgy act, since they’re instantly rewarded with a guilty verdict unless they can prove otherwise. Ian: Thank heaven you remembered reading Pyrrho, Doctor. 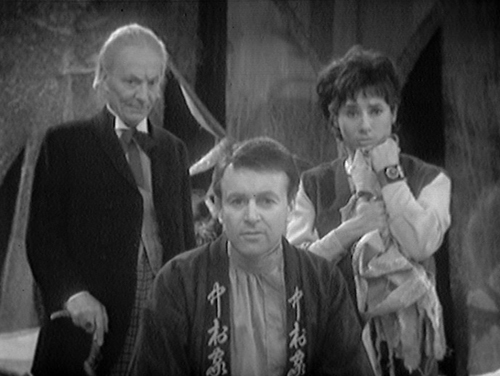 The Doctor: Reading? What are you talking about? I met the man! 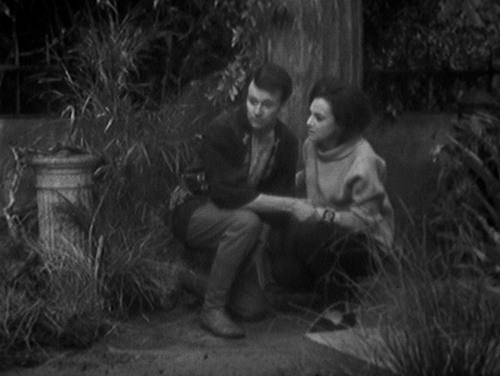 It might explain, to be charitable, why the place is littered with do-badders putting their feet in it in the most obvious manner (“But you couldn’t know where it is, I…” and “But she can’t have found it, I…”). However, against the notion that Terry wasn’t making the effort are some interesting asides. There’s the use of psychometry to reveal the characteristics of those who have been at the scene of the crime. 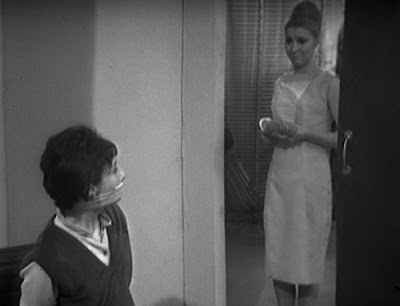 Also, the suggestion of domestic violence, hot on the heels of Babs being harassed (and an attempted strangulation from Ian), gives way to reveal that Kala (Fiona Walker; let’s not mention Silver Nemesis) is a criminal mastermind herself, and no slouch in the acting stakes (“They’re like all the rest of them – stupid, stupid”), even if she falls prey to the same tootsies-in-mouth incrimination that does for her hubby (“Well, how did she know she spoke to Susan?”). While it’s fun to have the Doctor as the counsel for the defence, and the doggedness with which Ian remains charged has a certain bureaucratic cachet (first as the accomplice to Aydan – Martin Cort, also of The Seeds of Death – then accused by Kala) the increased span of time spent on Millennius doesn’t actually service the plot any better than in the other locations; it just gives Terry more time to fashion unlikely developments. 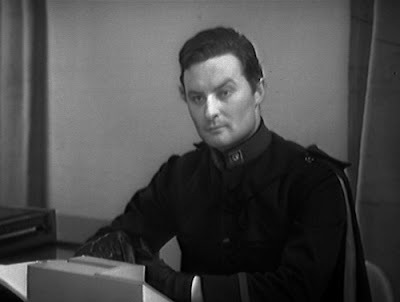 Donald Pickering (Beyus) is fine as the villain, but less effective than he is in the later The Faceless Ones (let’s not mention Time and the Rani). 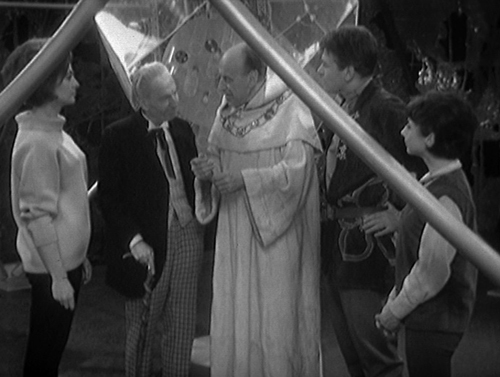 The Doctor: You’re all running around like a lot of scared chickens. 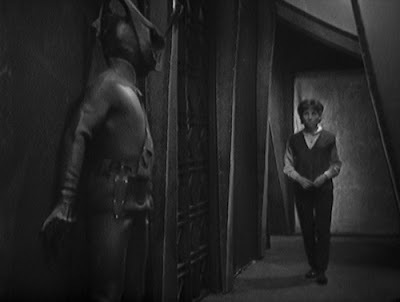 The big climax with Yartek, taking up the backend of The Keys of Marinus (the episode, not the story), is on the perfunctory side, but as throughout – and this is perhaps my consistent and weak defence, but it is my defence – it remains engaging. 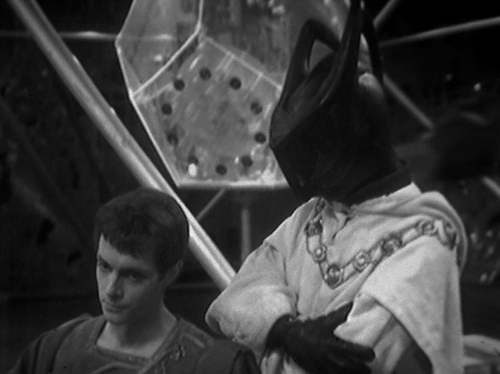 Sometimes this is in the patently ridiculous sense, with Yartek impersonating Arbitan by pimping it up in his robe (Gerry Davis would soon be likewise inspired, giving the proto-Cybermen parkas to hide their Cyber-ness in The Tenth Planet; perhaps this tenuous connection led to Grant Morrison offering a link between Voord and Cybermen in The World Shapers). At others it’s in the quite sly; Sabetha attempting to suggest Altos is a useless servant doesn’t really wash, but Ian’s ruse with the fake key is rather clever, and an effective and seamlessly integrated piece of plotting, utilising as it does an element from the third episode. 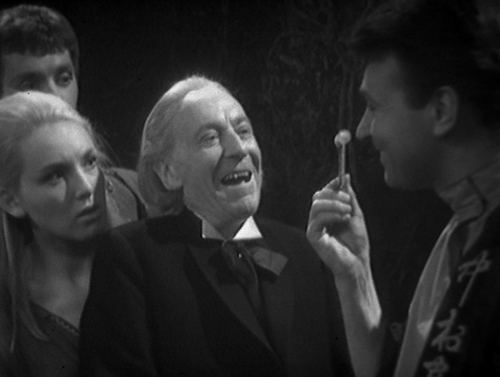 It’s also fun to see the Doctor laughing when he’s clobbering Voord on the noggin. 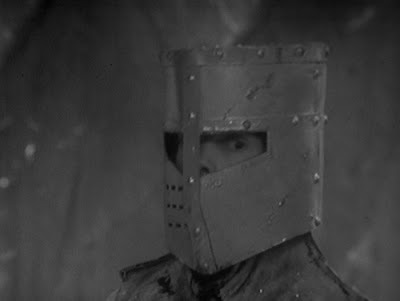 What with this and the shovel incident in The Reign of Terror, the suggestion that he put away braining people in the Cave of Skulls is a little pre-emptive. 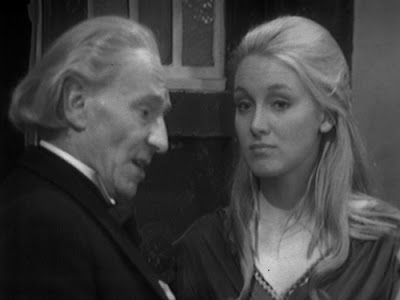 The Doctor isn’t very helpful, though, when, having stressed the importance of man not being made to be ruled by machines, he instructs Sabetha to carry on her father’s good work. How precisely will proceed “only not quite in the same way”? Give her a bit of a steer, or you’ll just make things worse. 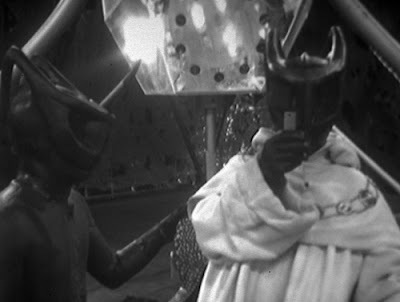 The Keys of Marinus tends to be criticised for reducing the series to a lowest-common-denominator adventure romp, on a budget so slim it shines a harsh light on failings of performance, plotting and overall execution. No doubt some of this is true, although I’ve usually found cheapness the most forgivable of aspects in derided stories (as the observation goes, the casual viewer would perceive every Doctor Who story as as cheap and shoddy as every other story, classic status be damned). It certainly isn’t the most though-provoking Hartnell, the phantasmagoria of the second episode aside, and it frequently trips over itself, both in terms of Nation-isms and onscreen flipper antics (of which, footwear aside, the Voord are a strangely effective piece of design, fashionably zippered but striking, particularly as it’s left to the viewer to decide if they’re hiding humans underneath or really look like that). But the adventuring format is a winner, and makes The Keys of Marinus as important a part of testing the show’s boundaries as the more celebrated stories preceding it. As for the notional tedium, it’s clearly in the eye of the beholder.